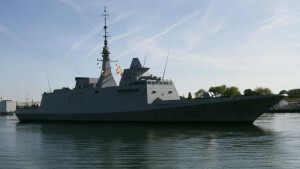 FRIGATES FROM THE FRENCH. FAST ATTACK CRAFT WITH HARPOON MISSILES AND SEA-WHIZ (PHALANX) FROM THE UNITED STATES. According to IHS Jane’s 360 SIPREP dated 24JUN2015, Egypt has taken delivery of a second Ambassador IV-class fast attack craft (FAC). Another two of the 63meter ships are pending delivery from U.S. manufacturer VT Halter Marine. These ships are armed with Harpoon Anti-Ship Missiles (ASM), RIM-116 Rolling Airframe Missiles, and a Phalanx SeaWhiz weapon platforms. In 2013 Egypt’s fifth President, Mohamed Morsi, was deposed in a coup d’etat by Army Chief General Abdel Fattah el-Sisi, who was subsequently elected President in 2014. Although the current government appears to be relatively stable, I have concerns about subsequent popular elections placing control of U.S. supplied naval assets and weapon platforms in the hands of Islamic radicals. Our supply of the Ambassador IVs and anti-ship missile platforms to Egypt reminds me of an event that occurred on October 20, 1967, in International Waters 13.5 nautical miles off Port Said, Sinai. An Egyptian missile boat attacked INS (Israeli Naval Ship) Eilat while she was on routine patrol. Her communications and propulsion systems were disabled, fire began to spread on deck, and she began to capsize. According to idf-blog.com, “. . . [a]pproximately an hour and a half after the initial impact, another Egyptian missile boat left Port Said and attacked the destroyer. One of the missiles hit the ship astern, and caused a conflagration near the weapons storage area of the ship. The stores caught on fire, and their contents began to explode. All of the 199 crew members of the ship began to abandon ship.” Eilat exploded and sunk. Of her crew 97 were KIA; 91 were injured. Wikipedia describes the Harpoon as ” . . . an all weather, over-the-horizon, anti-ship missile system, developed and manufactured by McDonnell Douglas (now Boeing Defense, Space & Security).” Exactly which version of this missile has been and will be supplied to Egypt is unclear, but it is entirely possible it is the Harpoon RGM-84 (Next Generation) unveiled in April 2015. This anti-ship missile has an extended range of of 130 nautical miles. Exactly why Egypt needs, and the U.S. is willing to supply, such extraordinary anti-ship missile capability is a non sequitur. I can’t imagine Egypt needing such maritime anti-ship capability for littoral/coastal patrols. I have grave concerns about a rogue Islamic regeime inuring to command and control capability of these missiles, by elections or otherwise, and again using them to pre-emptively attack Israeli — or worse yet, U.S. — naval assets.